San Gerado de Dota is one of Costa Rica’s least known travel spots. High up on the slopes of the Talamanca mountain range, that stretches the length of the southern half of the country, this area is known for its coffee plantations and as a habitat for birdlife. Visitors can learn the process of their favorite beverage from the bean to the cup and sample some of the freshest coffee available! "Pristine forests of San Gerardo de Dota"
The real treat for travelers to this cloud-forested region is the opportunity to see the shy Resplendent Queztal. This much sought after bird with its incredible plumage is most easily seen in the months of March and April, but guides will take visitors on a mountain hike for a possible glimpse of this and the other birdlife in the area. It’s a good overnight stopping point when driving to or from the southern Pacific beaches and the Osa Peninsula to break up the journey and enjoy another of the country’s micro-climates. 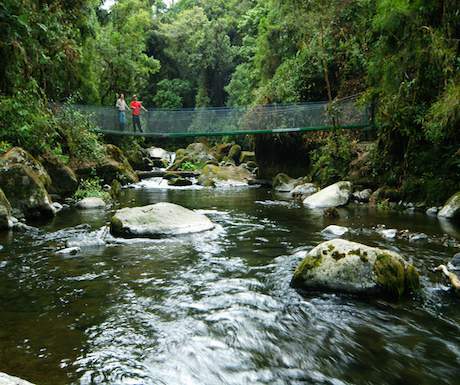 This is especially good for those who don’t have the time to add Monteverde to the itinerary. Getting there: Allow about three hours to drive south on the Pan-American Highway (Route 2) from San Jose or about two hours from the south Pacific beach of Dominical. Santa Teresa – The New Tulum? Tagged things to do, travel.